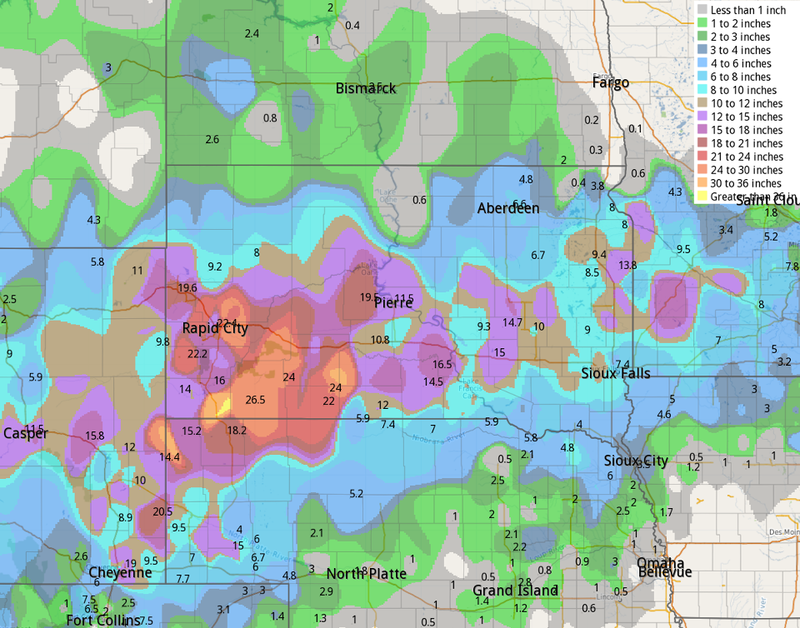 While receiving a blizzard that included a nasty mixture of rain, snow and ice in the middle of April isn’t ideal, folks in South Dakota will take the moisture in any form they can get. The bad news with the blizzard is that thousands of homes lost power and tree limbs now lie on the ground in much of southeastern South Dakota. 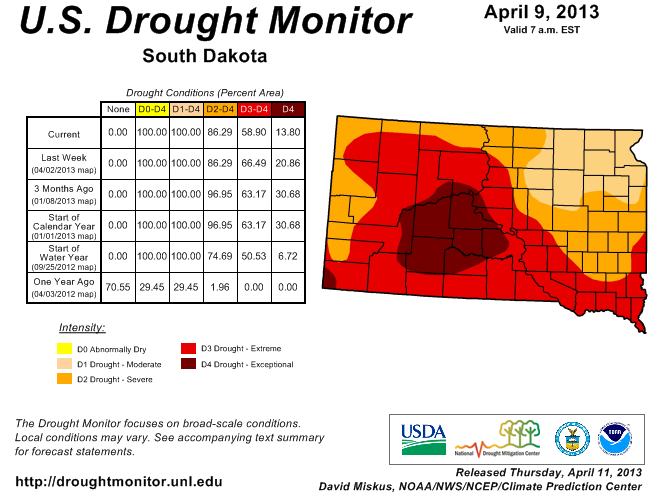 The good news is that the latest drought monitor shows some improvements in South Dakota and that doesn’t include this week’s storm, which brought two to three inches of moisture according to South Dakota State University Extension. Stats from this week’s drought monitor show South Dakota D4 areas lessening by 7% and D3 areas lessening by 7.5%, the most positive progress seen since the drought’s peak. Local weatherman Shawn Cable shows the improvements on his blog today. Nearly all of South Dakota received some sort of precipitation and you can see the amounts on the map below from the National Weather Service in Sioux Falls. This entry was posted in News and tagged corn, drought, South Dakota.